The Auditor’s Office at Williamson County, TX processes all of the accounts payable journal entries, accounts payable transactions and employee purchasing cards (p-cards) for both Williamson County and the Williamson County Community Supervision and Corrections Department (CSCD). Here is how Laserfiche Workflow, in conjunction with Laserfiche Quick Fields, streamlined the business processes in the Auditor’s Office. Each department at Williamson County submits its own purchase orders and receives its own invoices. The departments send these invoices and purchase orders to the Auditor’s Office. The Treasurer’s Office is responsible for cutting the check. A copy of this check is sent to the Auditor’s Office where it is attached to the supplemental documents such as invoices and scanned into Laserfiche with Laserfiche Quick Fields. 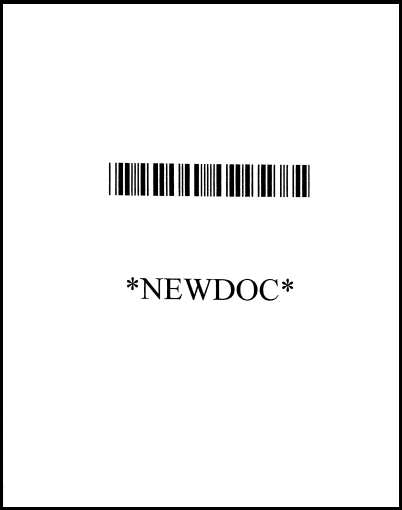 Every document is separated by a coversheet with a barcode, which is removed during Storage Processing. 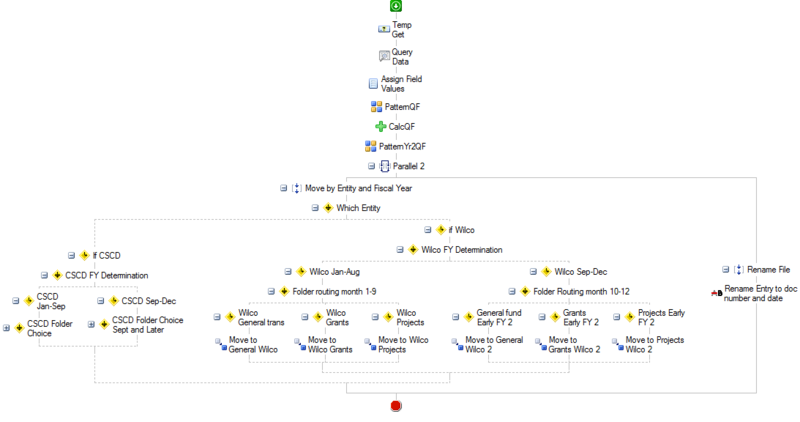 Here is a screenshot of the Quick Fields session that processes Williamson County p-cards. Click image to view larger in new window. A Zone OCR process is used to extract the last eight digits of the credit card from the document. 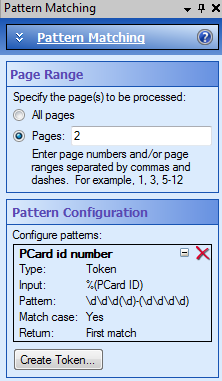 The Pattern Matching process extracts the relevant digits from the credit card number to create the p-card ID. This is how the Auditor’s Office configured this Pattern Matching process. 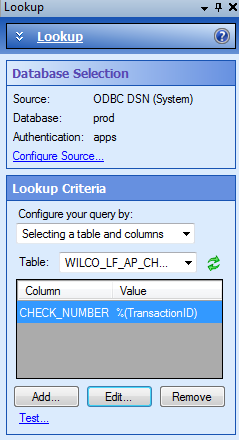 Here is a screenshot of the Quick Fields session that processes Williamson County checks. In this session, the Zone OCR process is used to extract the transaction number. The Lookup process uses this number to extract related information from the Oracle accounting database. This information is used to populate the associated document template. 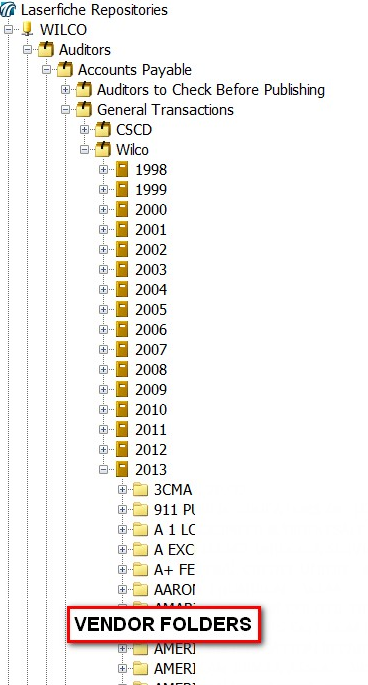 This is how the Auditor’s Office configured the Lookup process. 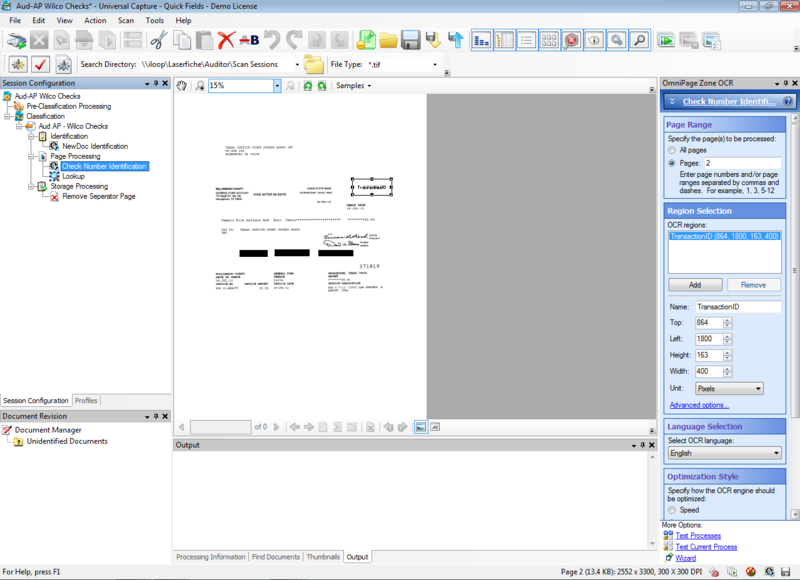 Once documents are scanned with Laserfiche Quick Fields, they are picked up by Laserfiche Workflow. The Auditor’s Office has one main workflow, which—based on the template assigned to a document—invokes one of three other workflows. 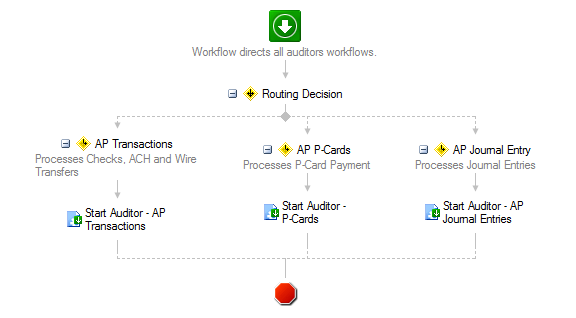 If the document is a check, ACH payment or wire transfer, it gets processed by the “Auditor – AP Transactions” workflow. 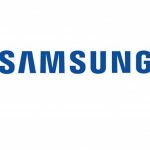 Extracts the transaction number from the document template and converts it into a token. 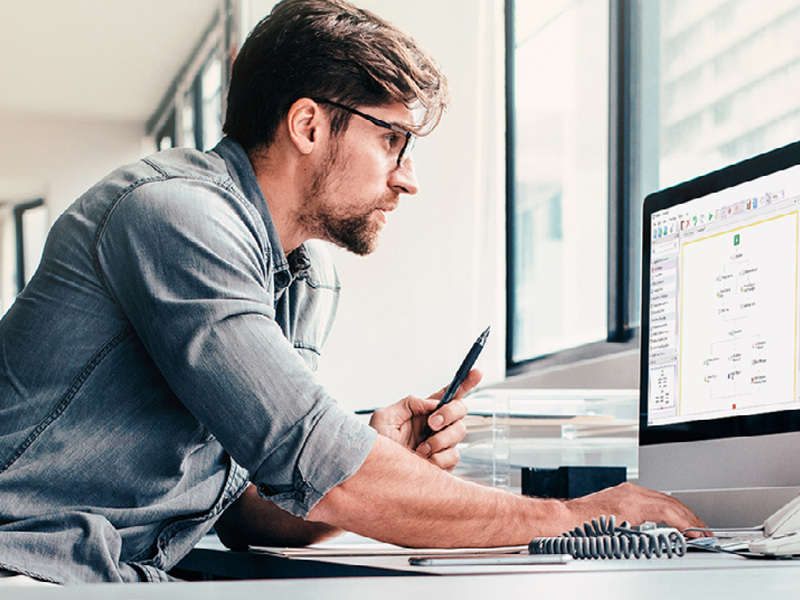 Queries the Oracle accounting database to fill in the remaining template fields such as check date, entity, fund, transaction type, vendor name and vendor number based on the transaction number. Uses the “Pattern Matching” activity to extract the year and month from the check date. Uses the “Date Token Calculator” activity to calculate the previous and next years based on the current year. Renames the entry to follow a uniform naming convention. Routes the document to either the “General Transactions” or “Projects and Grants” folders based on the value of the “Fund” field. 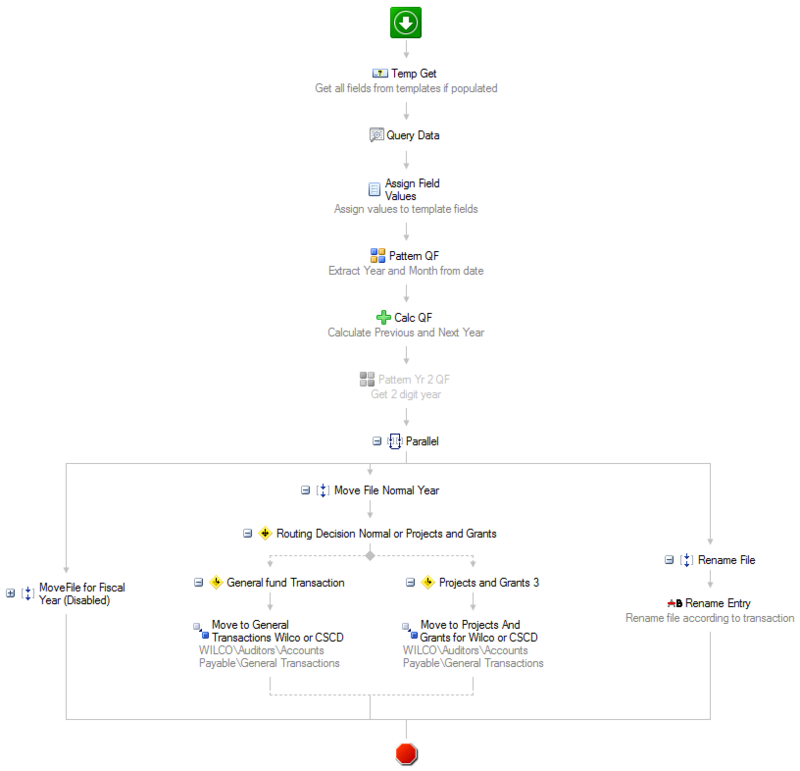 Here is a screenshot of the “General Transactions” folder structure. 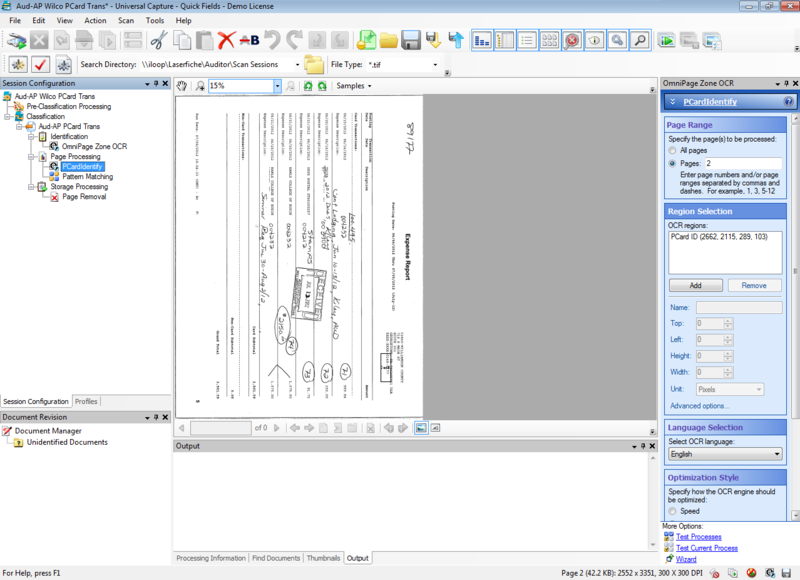 If the document is a p-card, it is processed by the “Auditor – P – Cards” workflow. 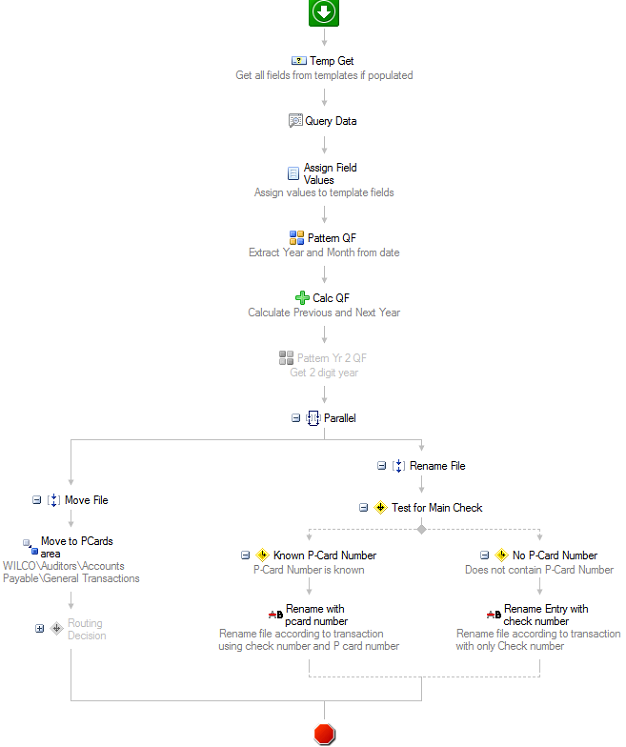 This workflow works in a similar fashion to the one processing AP transactions. All of the documents processed by the Auditor’s Office are stored in records management folders with retention automatically applied. Checks need to be saved for 10 years while projects and grants are stored permanently. Williamson County plans on completely automating the invoice intake process to enable departments to scan in their own invoices directly without having to send them to the Auditor’s Office first. 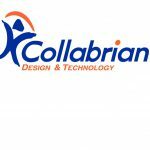 This is the first step in making the whole accounts payable process completely paperless.